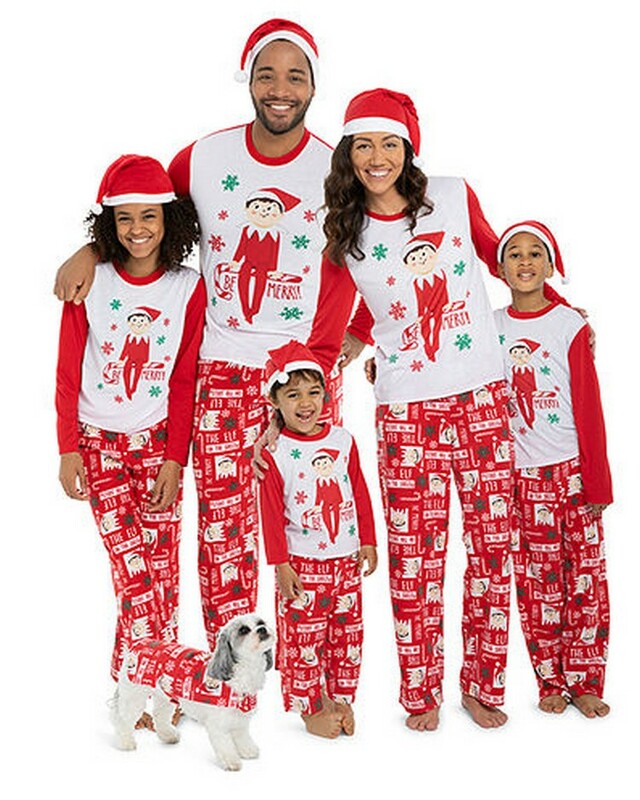 Hurry over to JCPenney.com where you can snag some great deals on pajamas for the whole family! To make this deal more magical, through November 4th, you can score an extra 20% off $100 or 25% off purchases more than $100 with the promo code FALLSALE! JCPenney Black Friday Ad – 2018!! 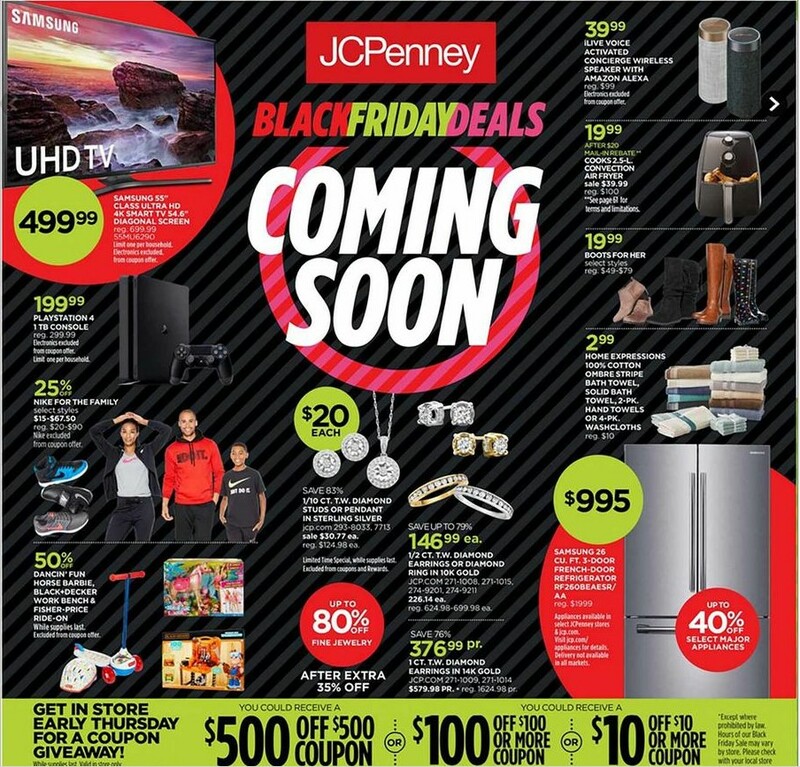 JCPenney Black Friday Ad 2018– Full Ad Scan! Hurry over to JCPenney.com where you can snag Women’s Riding Boots for ONLY $14.99 (reg. $79.99). Even sweeter, save an additional 30% off your $100+ purchase of select items or save an additional 25% off your purchase under $100 when you use promo code 47GIFTS at checkout. 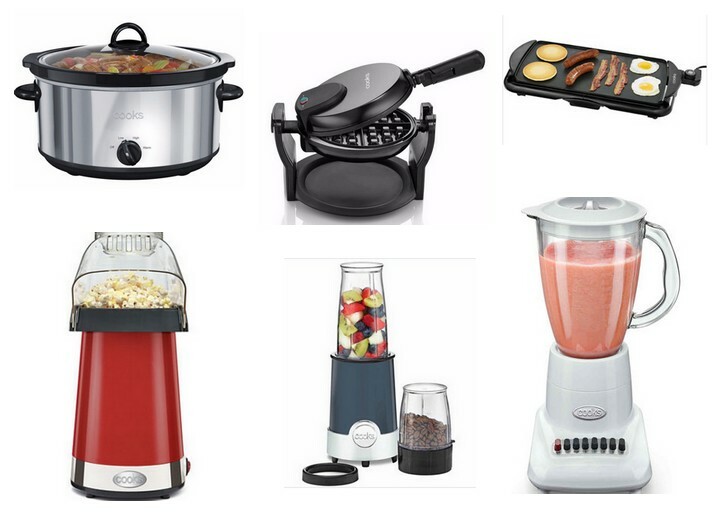 Head over to JCPenney.com where you can snag 3 Small Kitchen Appliances for ONLY $7.99 (reg. $40) after $12 mail-in rebate. 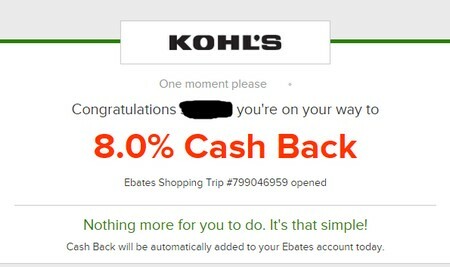 Final Cost: $12.17 for all 3 or JUST $4.06 each after 3% cash back and $10 Welcome Bonus Check. Hurry over to JCPenney.com where they have started their Black Friday Deals online. You will be able to snag this Cooks 6-qt. 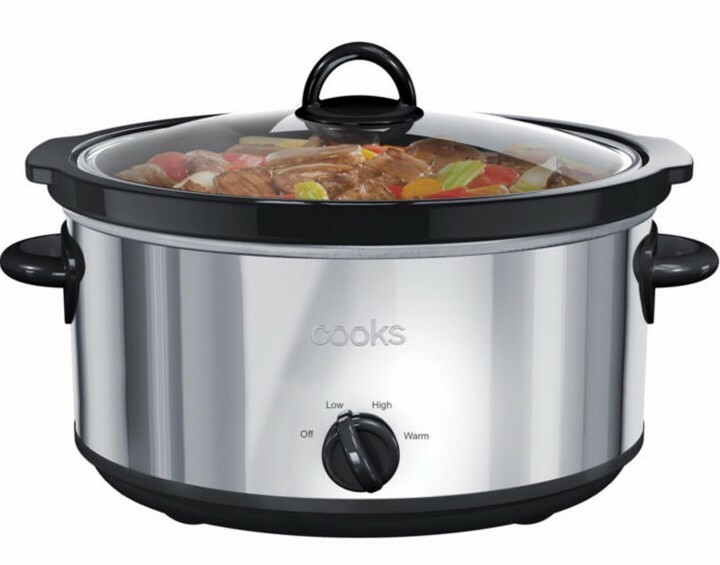 Stainless Steel Slow Cooker ONLY $7.99 (reg. $40!!). All-day cooking to create a succulent supper is effortless when you toss your ingredients into this stainless steel slow cooker and let it simmer your meal to perfection. 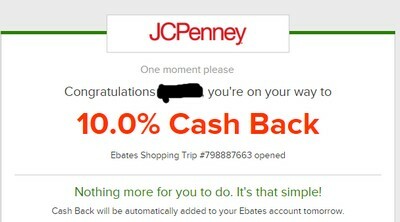 Hurry over to JCPenney.com where they have started their Black Friday Deals online. 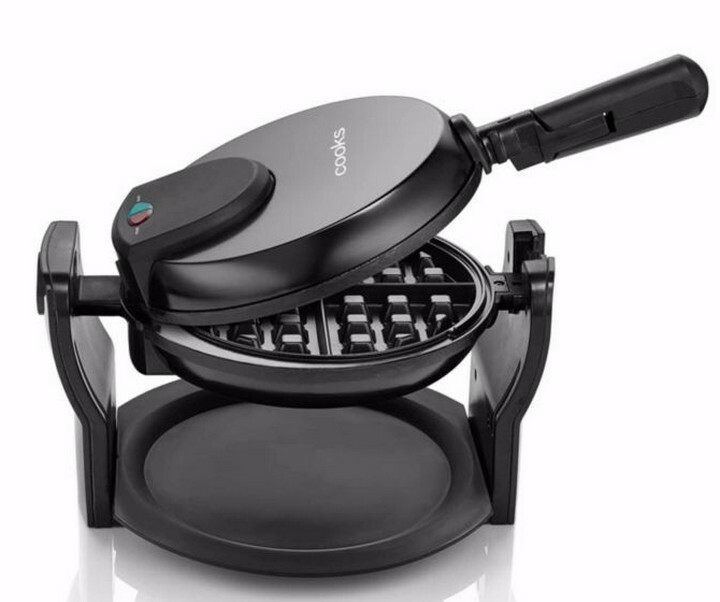 You will be able to snag this Cooks Single Flip Waffle Maker ONLY $7.99 (reg. $40!!). Waffles taste even yummier when your family has the fun and satisfaction of making them at home. This waffle maker helps you create a delicious breakfast (or snack!) every time. Hurry over to JCPenney.com where they have started their Black Friday Deals online. You will be able to snag this Cooks 5-in-1 12-pc. 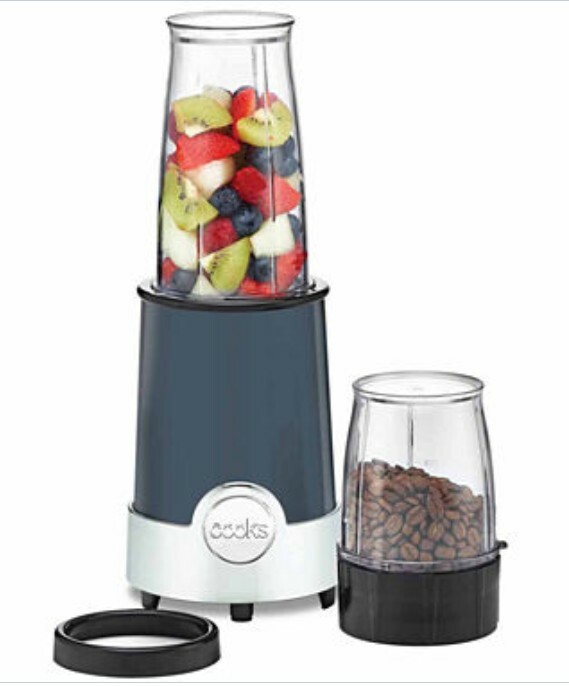 Power Blender ONLY $7.99 (reg. $40!!). JCPenney Black Friday Ad – 2017!! 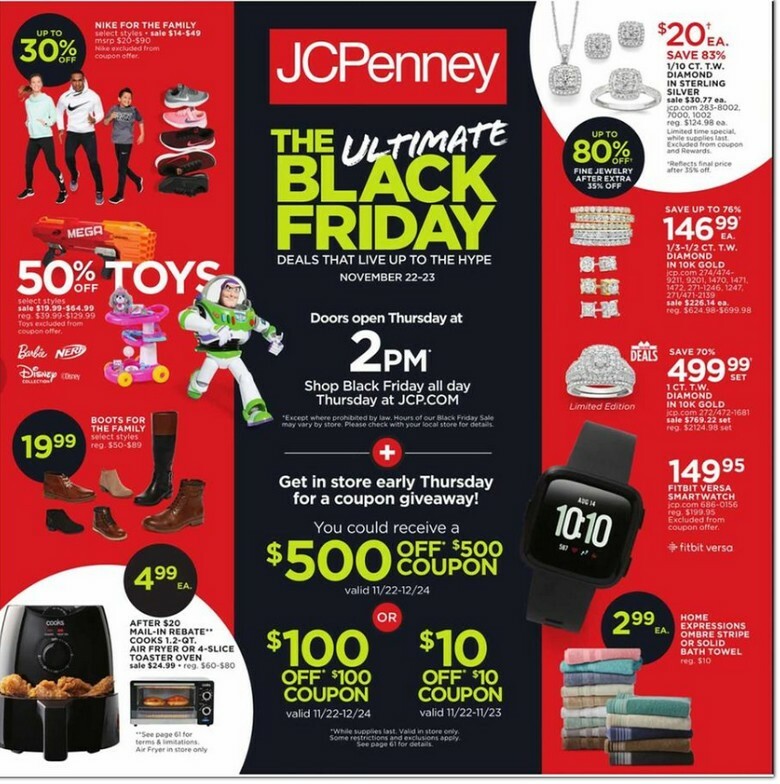 JCPenney Black Friday Ad 2017 – Full Ad Scan! Now through 11/26, hurry over to JCPenney.com where you can snag Gibson® Elite Pueblo Springs 16-pc. Dinnerware Set ONLY $39.99 (reg. $39.99!). Use promo code GETNOW3 at checkout to save $10 off your $25 purchase, BUT you can sweeten the deal even more by going through Ebates.com and earn 10% cash back and a $10 Welcome Bonus Check by CLICKING HERE to sign up (new members only) making these ONLY $16.99!! Now through 11/26, hurry over to JCPenney.com where you can snag Cooks 12-pc. 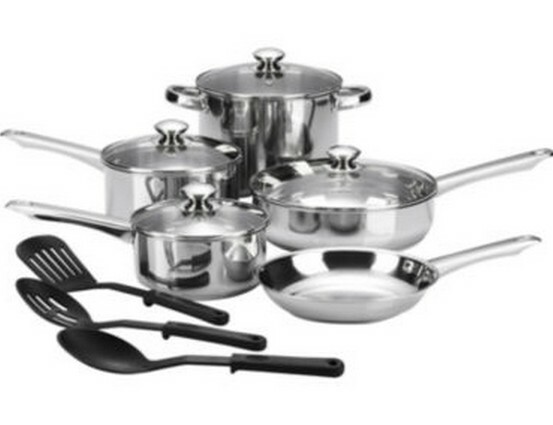 Stainless Steel Cookware Set on sale for $49.99 (reg. $100!). 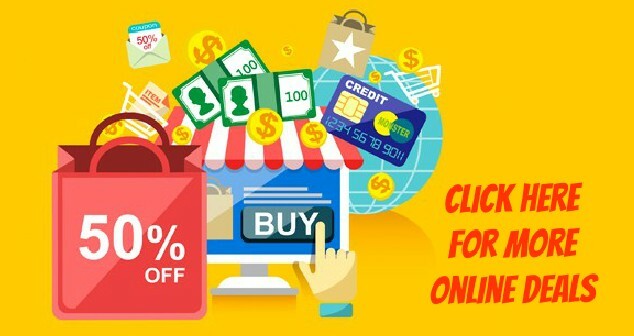 Use promo code GETNOW3 at checkout to save $10 off your $25 purchase, BUT you can sweeten the deal even more by going through Ebates.com and earn 10% cash back and a $10 Welcome Bonus Check by CLICKING HERE to sign up (new members only) plus receive a $20 Mail-in Rebate making these ONLY $5.99! !